Of course, Apple isn’t the only one talking about this record-breaking success. 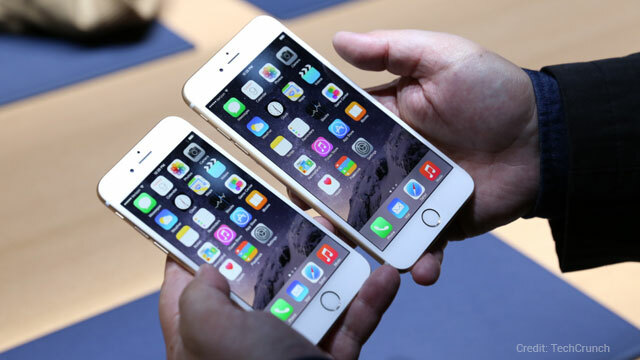 Business Insider cites iPhone 6 as the “biggest story in tech right now.” And TechCrunch says that “that’s twice the number of pre-orders achieved in 24 hours by the iPhone 5 back in 2012,” and even though Apple didn’t release the official numbers for iPhone 5s and iPhone 5c, they’re estimated to be around 2.2 million. Forbes points out that some of these may be double orders, since “this is the first time two iPhones with different screen sizes were announced simultaneously.” Yet even though this could’ve caused a bump in sales, the authors note that any cancelled orders will quickly and easily be resold. Since these are the thinnest and lightest devices released by Apple yet, you’ll want the slimmest and most protective cases available. So no matter which new iPhone you’ve preordered (or have at least thought about ordering), we’ve got you covered in mighty slim protection for both iPhone 6 and iPhone 6 Plus.